With regards to World Heart Day celebration, Health Careers Institute Cochin conducted an awareness program in Vyttila Mobility Hub regarding the management of cardiac arrest & choking based on this year's theme “ SHARE THE POWER” on 29.09.2017 at 11 AM. The program started with a welcome speech by Mr. Jeril Cherian, Principal, HCI. 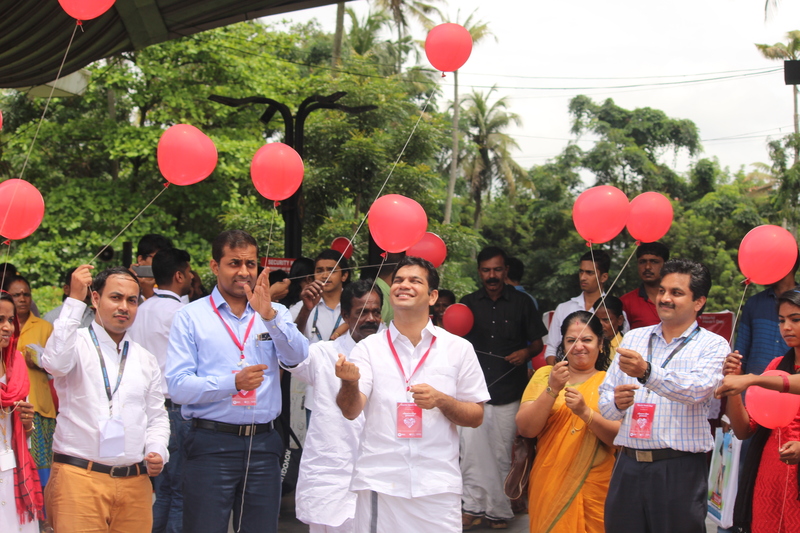 Honorable MLA HIBI EDEN inaugurated the event with a balloon release ceremony with the full participation of the public .Dr. Vinod Thomas , Senior cardiologist from Renai Medicity delivered a health talk regarding preventive aspects of cardiovascular diseases. A mock drill was conducted by HCI team on Cardiac arrest management .A demonstration and practice session were handled by HCI team & PMKVY students. There was huge public participation in the demonstration session. The vote of thanks was delivered by AHA instructor Mr.Eldhose. The session concluded by 1.00 pm. © Health Careers Institute Pvt. Ltd. All Rights Reserved.